In 1933, Orem was a sprawling town of 3,000 struggling through the devastating effects of the Great Depression. Many had lost lifetime investments in farms and homes, and spirits were low. Concerned about the morale and well-being of their fellow citizens, a group of local leaders pooled their resources and their vision to create SCERA. They envisioned SCERA as the community’s gathering place—a place for neighbors and families to come together, create friendships, have fun, and be enriched and uplifted. From those humble beginnings has come a non-profit organization dedicated to the arts, to the family, and to youth. 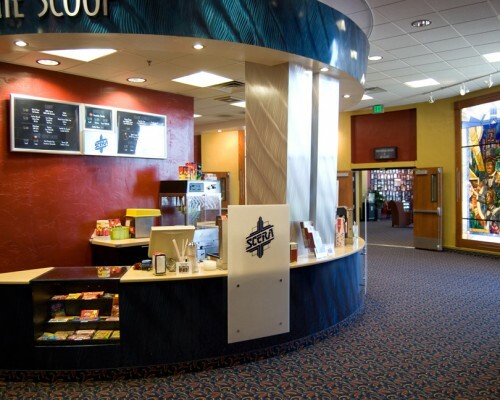 SCERA has now evolved into Utah Valley’s arts leader. With our focus on family-friendly entertainment, we have remained dedicated to serving and unifying the community through involvement in the arts. 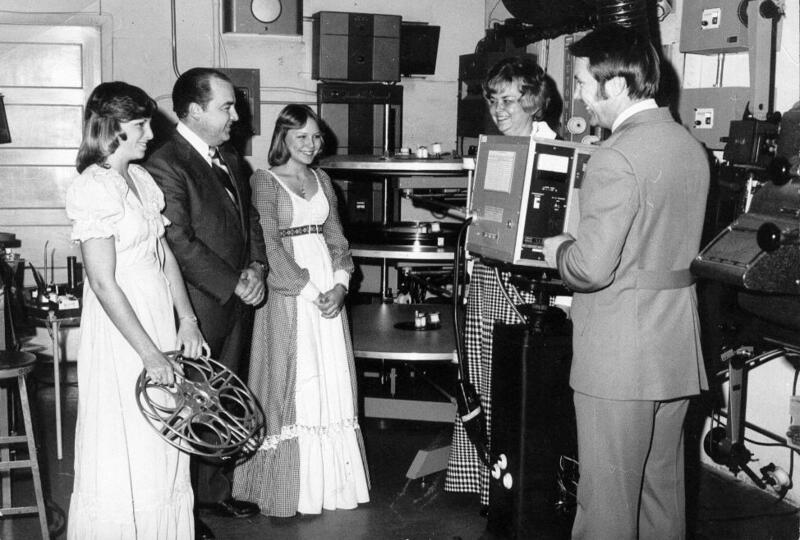 SCERA’s educational programs and performing arts seasons have been enjoyed by millions of Utah County citizens over our 85 years of service (1933-2018). SCERA was founded in a spirit of volunteerism and loyalty that remains today. Over 400 young people ages 12 and older – adults and seniors, too — serve annually at SCERA facilities, sharing talents, learning skills and developing a lifelong love of community service. More than 500 volunteer cast members perform in our stage productions in the true spirit of community theatre. Each year, these nearly 1,000 volunteers give more than 172,000 hours of service – we invite you to become part of our SCERA volunteer family! 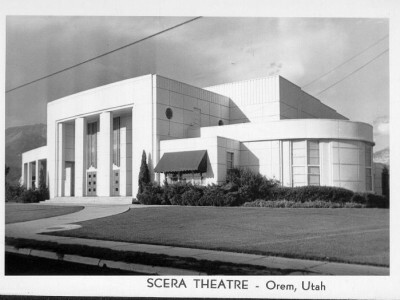 As SCERA grows and improves, the dream of our founders has become an evolving reality that continues the family tradition and dedication to the arts. 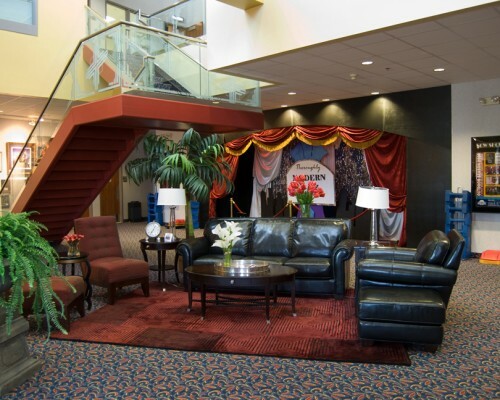 We have a saying at SCERA: “Every time the curtain rises, so does the quality of our lives.” We strive to lengthen the legacy of SCERA so generations to come can be proud of this unique organization that has garnered attention statewide and nationally. 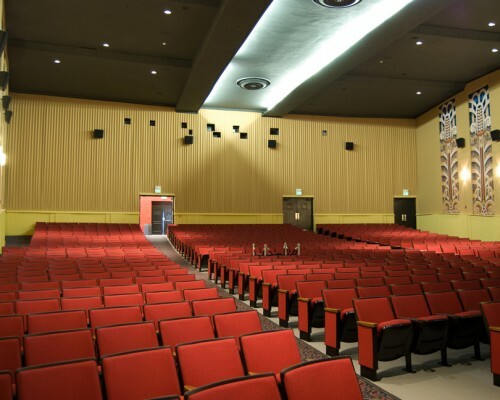 The historic SCERA Center for the Arts, which opened in 1941, is our longest-standing facility and has two theatres: the remodeled Clarke Grand Theatre and Showhouse II. 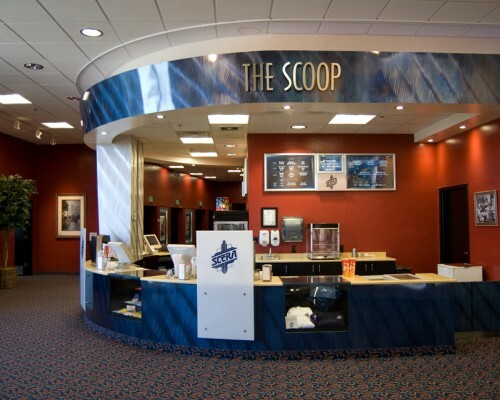 The entire lobby and concessions area was renovated in 2006. An outdoor courtyard has a 20’ working sundial, 3 lifesize bronze sculptures depicting a father, mother and child, a giant chessboard with playable pieces, and plaques with inspiring quotes on time and families. In the interior lobby is a series of stained glass windows depicting 8 areas of the arts: Theatre, Dance, Literature, Architecture, Song, Music, Art and Film and well as two floor-to-ceiling custom stained glass pieces by artist Tom Holdman. 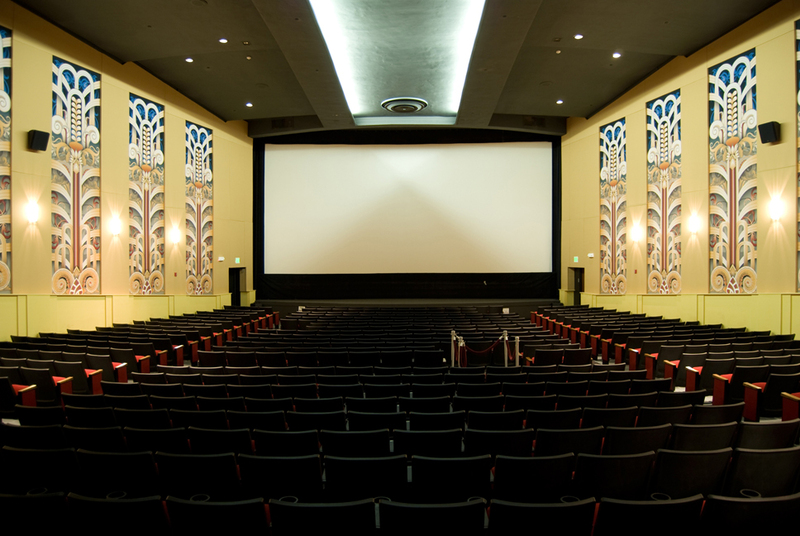 The Center’s programs offer something for everyone: our indoor performing arts series; art exhibits in Gallery 101; feature films, classic cinema series and children’s summer matinee program; arts education programs for youth including drama, music, dance, art and more (with financial need scholarships awarded to deserving students); special events including Sunday firesides, Theatre for Young Audiences, Celebration of Veterans, The Star Awards and the LDS Film Festival; and rental availability of our theaters and multi-purpose rooms for fairs, festivals, meetings, reunions, conferences, classes, performances, recitals, rehearsals and more. 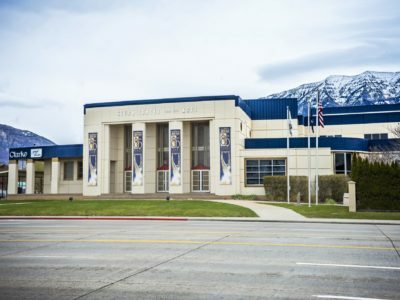 The Orem Heritage Museum, which for many years was located on the second floor of the SCERA Center for the Arts, moved to a new home in November 2012. Thanks to an anonymous donation, SCERA was able to purchase the historic former LDS Seminary building just south of the SCERA Center, and after some remodeling and new signage, the museum now has a permanent building to display exhibits which tell the unique history of Orem. Admission is free, and guided and walk-through tours are available for families, church and scout groups, elementary schools, civic organizations and more. 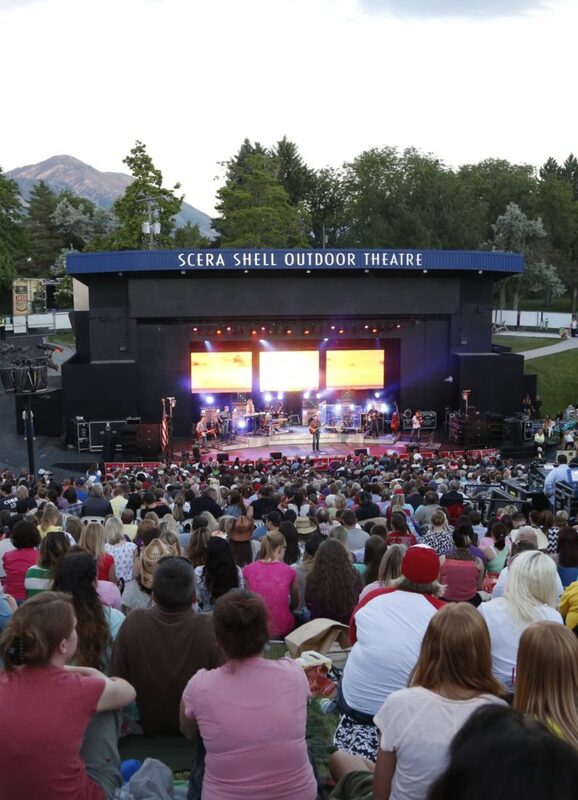 Located in Orem’s SCERA Park under the backdrop of the beautiful Wasatch Mountains, the SCERA Shell Outdoor Theatre is a one-of-a-kind outdoor venue, perfect for summer evening entertainment. 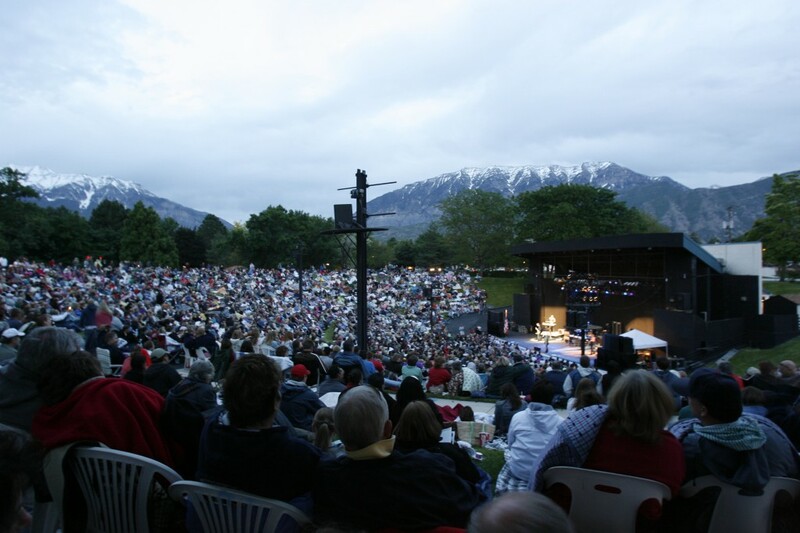 The large and open grassy slope can accommodate more than 4,000 patrons. 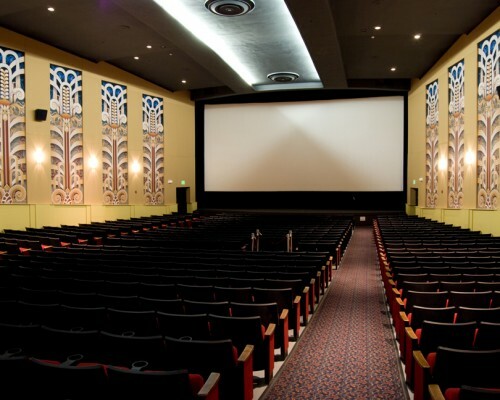 Audience members can bring a blanket or rent a chair that is specially cut to sit on the hill. 2019 will mark our 35th Anniversary Season, and more than 60,000 people each summer enjoy entertainment under the stars including concerts with major artists in a wide variety of music genres, live musical productions done on a grand scale, and a series of outdoor movies on a big screen. The relaxing and casual outdoor atmosphere has become something patrons look forward to all year long! SCERA also has two other buildings. 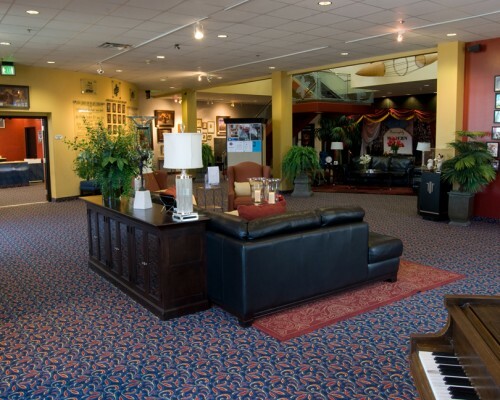 The SCERA Shop Building, located east of SCERA Center for the Arts, houses our costume, prop and scenic departments. Just to the north of the Shop Building is SCERA Art Studios, an educational building dedicated solely to visual arts classes.